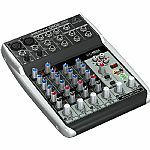 The Behringer Xenyx Q802USB Mixer stands at the top of it's class. 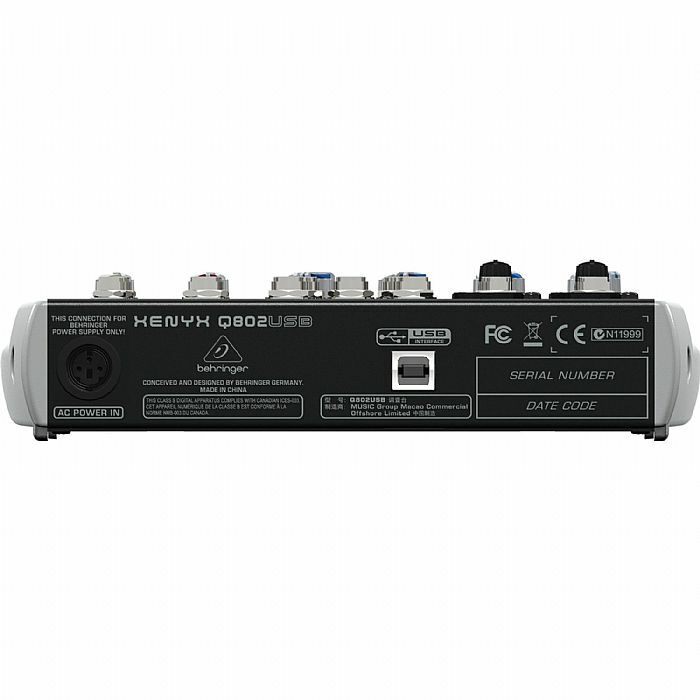 Armed with premium microphone preamps and robust feature sets typically reserved for more expensive consoles, next generation Xenyx Q802USB mixer can handle your live gigs as well as provide the state of the art tools to make stunning, professional quality recordings. The 8 input, 2 bus Xenyx Q802USB has two phantom powered Xenyx mic preamps, making it possible to use up to two dynamic and/or studio grade condenser mics. Onboard 3-band British EQ makes it easy to fine tune any input signal and is available on both the mic and stereo channels. Another feature exclusive to the Q802USB is an FX send control per channel, allowing you to use an external effects processor to add the finishing touch to your performance or recording. RCA CD/Tape I/O comes standard on all Xenyx mixers. Ask professional sound engineers what their favorite piece of external processing gear is and the response will be virtually unanimous "dynamic compression". This limits the dynamic range of a signal, lowering the level of loud sounds and turning up softer sounds to achieve sonic balance. But applying compression is a delicate art that many novice, and even intermediate sound techs have difficulty mastering. Our "one knob" compression is available on all mono channels and is easy to operate, even for entry level users. Now you can easily dial in the perfect amount of compression for instruments and vocals, creating powerful mixes with punch and clarity. The state of the art Xenyx mic preamps are a tremendous step in the evolution of audio technology and they can easily hold their own, even when compared to expensive, boutique style mic preamps. Xenyx preamps offer a staggering 130 dB of dynamic range with a bandwidth that extends from below 10Hz to well above 200KHz. As a result, Xenyx mixers provide such transparent, crystal clear performance that you just might think someone upgraded your microphones while you weren't looking. The British consoles of the '60s and '70s changed the sound of rock and roll. These legendary mixing desks soon became the envy of engineers and producers all over the world. The channel EQ on our Xenyx mixers is based on that very same circuitry, allowing you to process signals with incredible warmth and detailed musical character. Even when applied generously, these equalizers exhibit sweet forgiveness and superb audio quality. 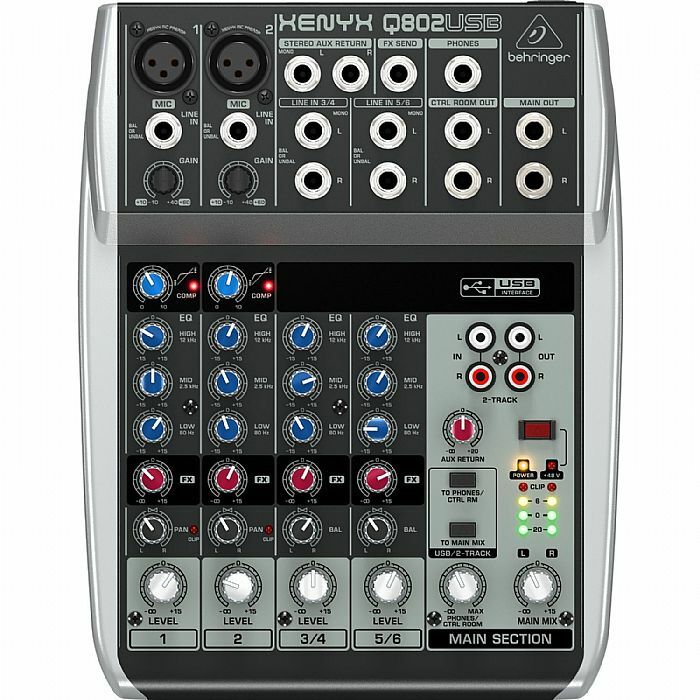 Because you'll want to take full advantage of your Xenyx Q Series mixers' recording and podcasting potential, Behringer have put together a massive software download (at www.behringer.com) that includes Audacity, Podifier, Juice, Podnova and Golden Ear. You're ready to go live on your PC or Mac right out of the box! You also get more than 100 virtual instruments and 50 FX plugins, turning your computer into a complete home based or mobile recording studio. 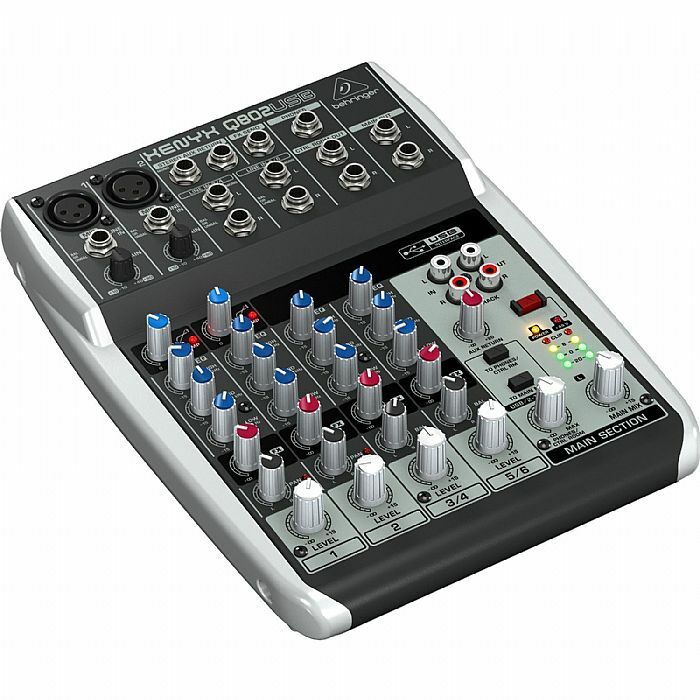 No matter what your audio mixing needs are, Behringer Q802USB Mixer provides the performance and features to take your talent to the next level, at a price that's sure to amaze you. try it today!